© 2017 Crunchbase Inc.All rights reserved. Red Hat is a multinational software company engaged in providing open-source software products to the enterprise community. 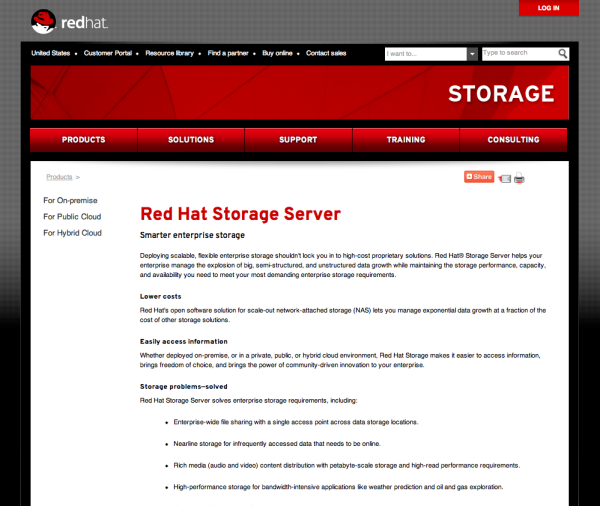 Red Hat, Inc. is a company dedicated to free and open source software, and a major Linux distribution vendor. The company is best known for its enterprise operating system Red Hat Enterprise Linux, and more recently through the acquisition of open source enterprise middleware vendor JBoss. Red Hat provides operating system platforms along with middleware, applications, and management solutions, as well as support, training, and consulting services. AeroGear provides Two-Factor Authentication and also brings cryptography to improve your application's security. Cockpit makes it easy to administer your GNU/Linux servers via a web browser. DevAssistant is a community project for software developers allowing them to set up environment for various languages and much more. Fedora is a Linux-based operating system that creates and spreads free code and content by working together as a community. Hibernate an open source Java persistence framework project. Libvirt is a toolkit that enables users to interact with the virtualization capabilities of recent version of Linux. OpenShift.io is an online IDE for building container-based applications. The Premier Destination for Data Center, Infrastructure & Operations Leaders.